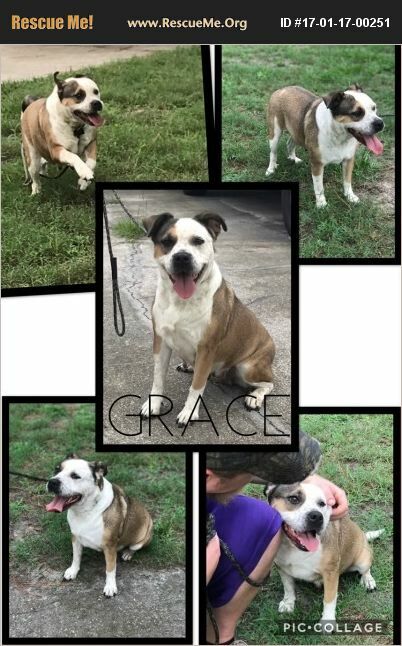 Grace is a very sweet girl who we pulled when she was pregnant from the shelter. All of her puppies have found forever homes, now it is her turn. She was in her 1st foster home with other dogs and cats, she was good with both there. She is currently in a foster home with children that she absolutely adores. She is now being posted with one of our trainers (big perk) and he feels that she would do best in an only fur baby home. She has been fully vetted, knows basic commands, and would love a family of her own!